The bi-fold door is a sophisticated home improvement solution that creates a stunning focal point in your Ledbury home. With great security, performance and style, our bi-folds tick all of the boxes. The bi-fold door is increasingly popular and we understand why! With a luxury feel that exudes kerb appeal, the concertina functionality makes them an incredibly practical and versatile option for your Ledbury home. Eyes will be drawn to your bi-fold doors when you have guests or visitors view your home. With increased natural light and the ability to open up entire walls of your property, the bi-fold doors can make your dream home a reality. You don’t have to have a garden to get the most out of beautiful bi-fold doors by Malvern Glass. They can be installed to open up to balconies, patios, decking and more. There have also been instances where they’re installed to segregate larger rooms to make use of the space. As members of The Independent Network, organised by VEKA, all of our bi-fold doors guarantee to provide both form and functionality. We only work with premium grade materials to provide high end and high performance bi-fold door solutions. We create outstanding uPVC bi-fold doors that offer up to 19 configurations to choose from. The multi-panelled design of our doors folds away neatly within a single smooth motion so that they are easy to operate and don’t need much space to be opened or closed. We only use the very best VEKA tested uPVC materials when creating out bi-fold doors. They are thoroughly tested and assessed to make sure they meet our high expectations every time. 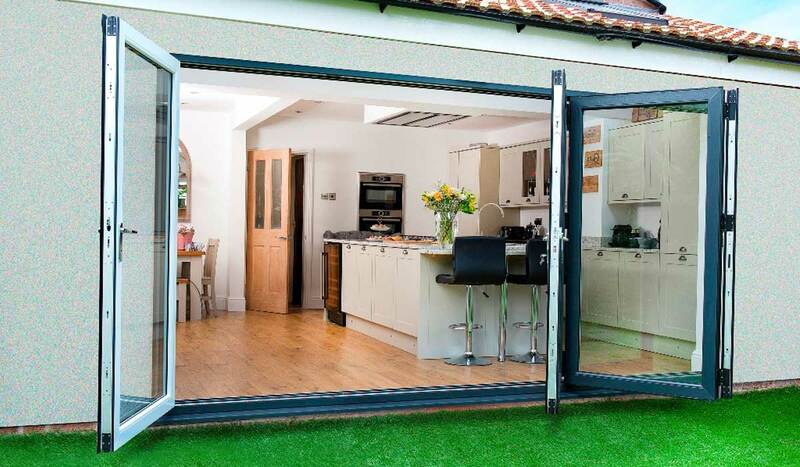 Our bi-fold doors make an excellent investment as they are built to last, even after frequent or heavy use. uPVC is a versatile material that offers excellent aesthetics as well as functionality. With a watertight seal, you won’t need to worry about water ingress, condensation or damp. We use the market-leading smart aluminium profile to create bi-fold doors that are sleek, strong, lightweight and versatile. Creating a seamless connection between the indoors and outdoors, you’ll feel a level of cohesion between your Ledbury property and the garden. Aluminium is a particularly robust material, allowing for slim sightlines that offer unobstructed panoramic views of the outside. It doesn’t suffer with any issues such as rotting, warping or discolouration over time. Aluminium is incredibly strong making our bi-fold doors a very secure and safe door solution for any Ledbury home. Adding bi-fold doors to your Ledbury home provides you with a long list of features and benefits. One of these includes improved thermal efficiency keeping your home warmer for longer so that you rely less on the central heating. This in turn lowers your energy costs and reduces your carbon footprint. What makes our bi-fold doors stand out from the crowd is the customisation options so that you can create them to be unique to your Ledbury home. Whether you want to create a subtle and minimalist solution or something more bold and bright, we have the colours, and designs for you. We offer strong and high quality glazing to make sure your home is well protected. All of our bi-fold doors come with high security locking mechanisms as standard so that you have peace of mind about the safety of your family and home. Our bi-fold doors are simple and easy to operate with a smooth gliding motion top open and close. 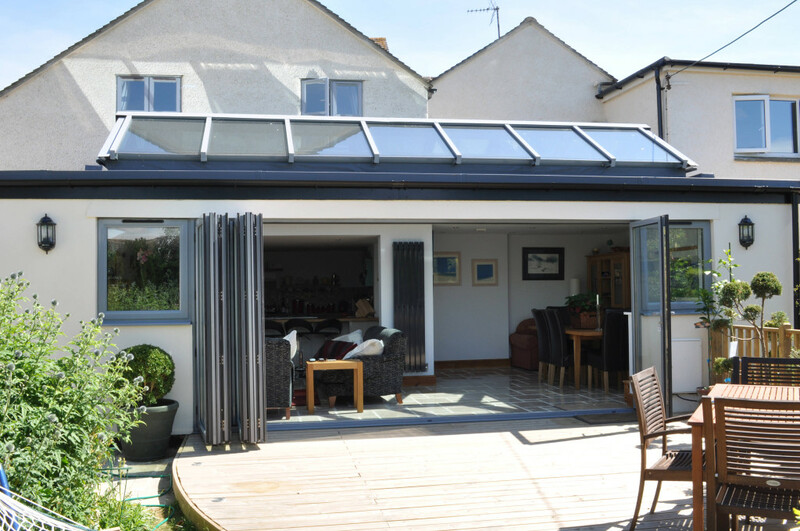 Whether you select our uPVC or aluminium bi-fold doors, you will be investing in a strong door solution that is visually appealing as well as durable. They are not susceptible to damage through heat or cold meaning that they can withstand even the most adverse weather. With a long lifespan, you’ll be able to enjoy your new bi-fold doors for years to come. With a style that will complement any Ledbury home you can open the doors in the warmer months to invite in garden smells and natural airflow. 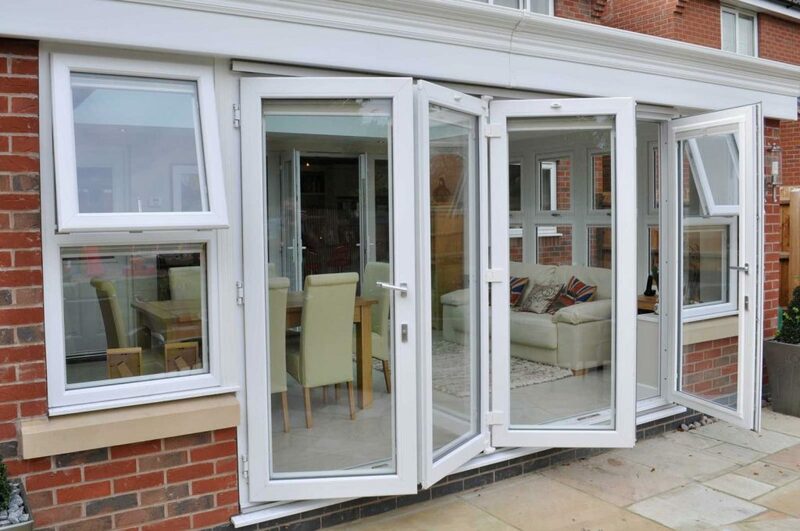 In colder months you can close your bi-fold doors to help keep your home warm and dry. We offer extremely competitive prices to all customers in Ledbury and the surrounding areas. You can get a free no-obligation quote for your bi-fold doors using our easy online quoting engine. Simply input your requirements and specifications and gain an accurate quote. If you have any questions or queries, you can contact us via our online contact form. Our team is eager to help and can advise or recommend bi-fold door products for your home improvement project.